Lancashire Witches Weekend at Lancaster Castle. Lancaster Castle is to host their second ‘Lancashire Witches Weekend’ on August 18 and 19 with a series of immersive events and entertainment from theatre company Attic Door Productions. Commemorating the 406th anniversary of the arrest, trial and execution of the Lancashire Witches in 1612, the weekend includes a range of events and entertainment for visitors of all ages. ‘The Pendle Witch Walk’ returns with a new immersive, character-led journey to take visitors on, an opportunity to explore the story of The Lancashire Witch Trials in the heart of its history. Due to the success of last year’s sell out historical re-enactment, The Well Tower will also be opened up to guests once more, giving participants a chance to hear Ol’ Demdike speak of the ‘evidence’ that placed her in this place of incarceration. 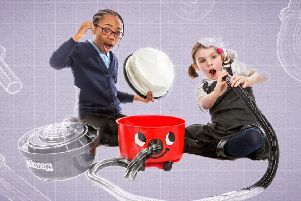 The Witch Weekend will welcome back the Wizarding professors to train younger visitors in the art of broomstick flying as well as debuting their all new ‘Little Witch Trail Show’ for the young (and the young at heart), who are invited on an adventure around the walls of the castle in order to find the ingredients for a magical potion to save a dragon. PhD student and artist Alisa Reed will feature her latest visual representation of the Lancashire Witches and local A.J. Exotics will be visiting with their reptile handling and encounter day in the Courtyards, along with stalls from William Wands and Cosmic Workshops. Stonemason Alan Ward will also be displaying his unique range of carved faces, heads and calligraphy created at the Castle. This is a ticketed event and due to many events selling out last year and tickers already selling fast, visitors are advised to pre-book. Entry to the Castle is just £1 (payable on the door) with additional charges for The Pendle Witch Walk (£8.00), broomstick training (£5), The Little Witch Trail (£5) and visits to the Well Tower dungeon to meet Ol’Demdike (£3.50). For full details of events and to book tickets please visit www.lancashirewitches.co.uk or call 01524 419486 for more information. 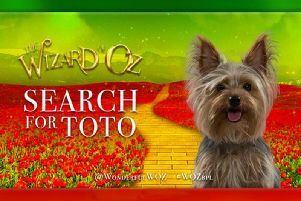 The search for Toto: Is your dog a superstar?